An original invitation from Marine collection. 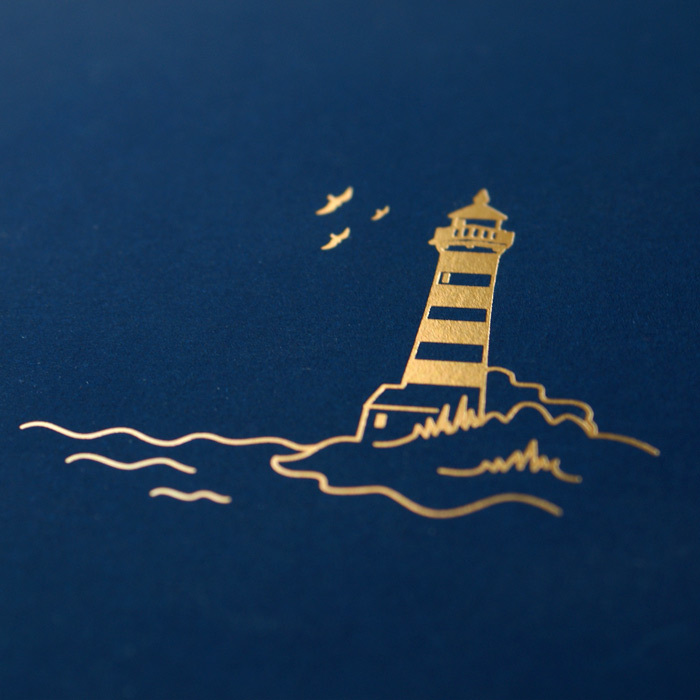 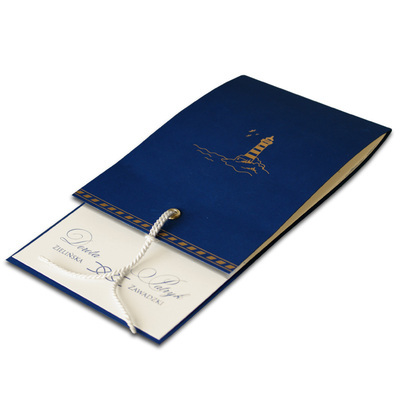 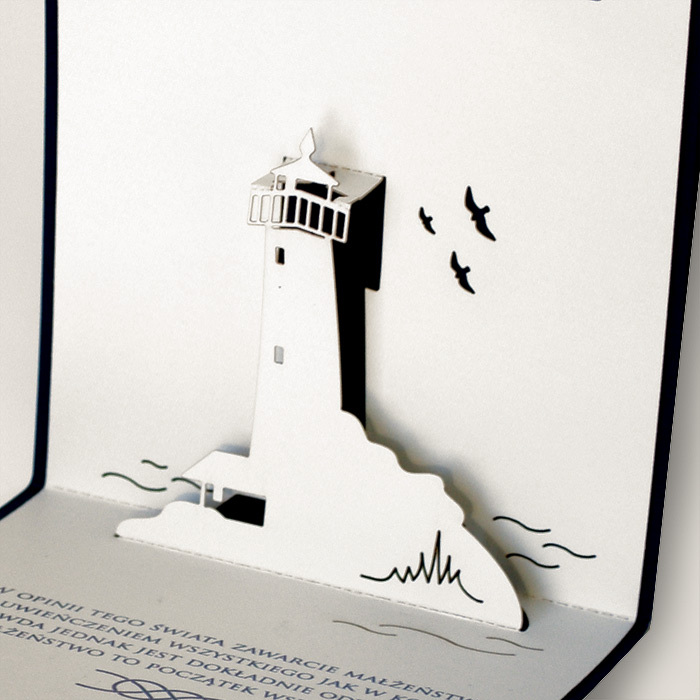 The cover is made from dark blue matte paper decorated with gold lighthouse. 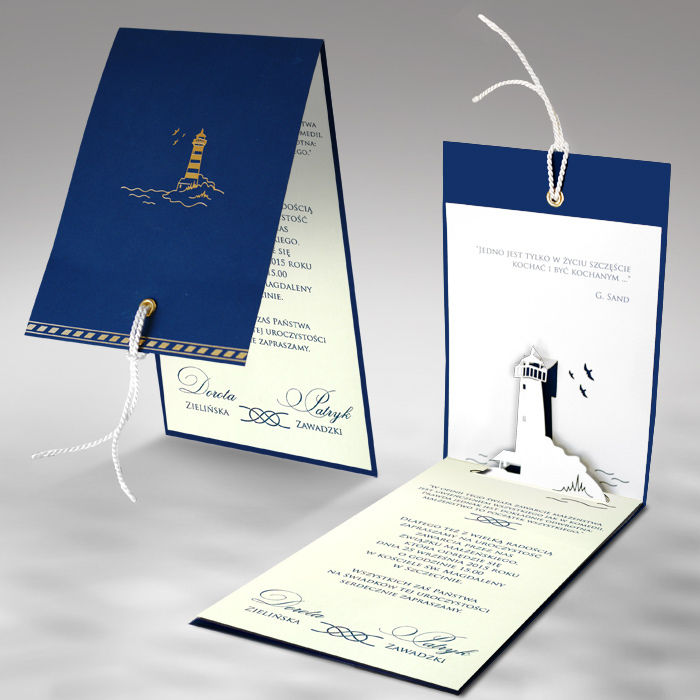 The insert for printing is stiff, ecru and matte. 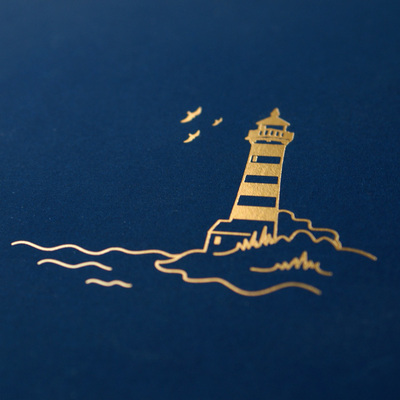 After opening 3D laser cut lighthouse is revealed. A piece of string is additional decoration.